The All New RAV4 stays true to its original SUV spirit. Its smooth, sleek design is radical and distinctive, while its powerful frame exclaims confidently: "I'll go anywhere". You'll feel as great on the inside as you'll look on the outside, as the cabin boasts enough space, comfort and premium features to satisfy even the most active families. Fun and adventure are what this car is all about. Whatever you do and wherever you go, your All New RAV4 is there to see you through. The sophisticated Integrated Dynamic Drive System makes for a perfectly balanced front-to-rear drive. Switching to Sport mode will ensure razor-sharp steering and throttle response, for exhilarating cornering. 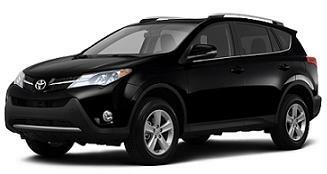 All Toyota Rav4 Icon car offers are based on Car Leasing, With 3 or 6 months down followed by 47.
Business contract hire deals or Personal leasing offers. 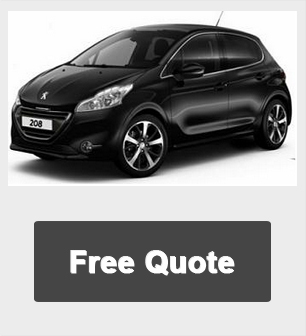 We can add additional maintenance packages to the leasing car contract car to include servicing and replacement tyre costs to the contract if you require. 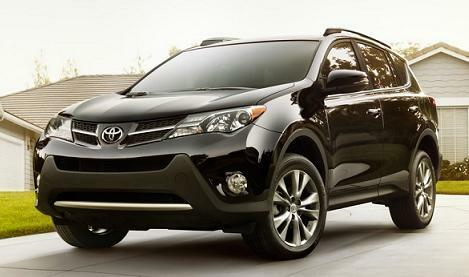 Toyota Rav4 Icon Delivery: Usually 12-14 days from order if the car in stock. For all Rav4 Icon factory orders delivery depends on car manufacturers current lead times for your chosen specification and car colour.